Are you thinking of starting up on your own and working for yourself? Do you need to know the nuts and bolts of setting up; marketing yourself and prospecting for new business; keeping things running on a day-to-day basis? Have you already made the leap and want to get more work, new clients, higher fees? This practical, no-nonsense book pulls no punches and gives you all the guidance you need to set yourself up and get work in the first place, plus all the know-how you need to survive, prosper and expand once you’re up and running. See the book’s website at www.pearson-books.com/startinguponyourownfor up-to-the minute financial and tax information for small businesses and the self-employed. This book was previously known as Smarter Consulting. IF YOU NEVER WANT TO WORK FOR SOMEBODY ELSE AGAIN, YOU NEED STARTING UP ON YOUR OWN! Chances are that if you’re looking at this book you are at least thinking about taking the big step of going it alone. Or you’re already in business as an independent and you want to get better at it. Well, you’ve come to the right place. Starting Up On Your Own covers everything you need to get ready to work for yourself and, once you’ve taken the plunge, how to develop your business and stay the course. If you’re not already in business, the first step is to decide if this is the right path for you. 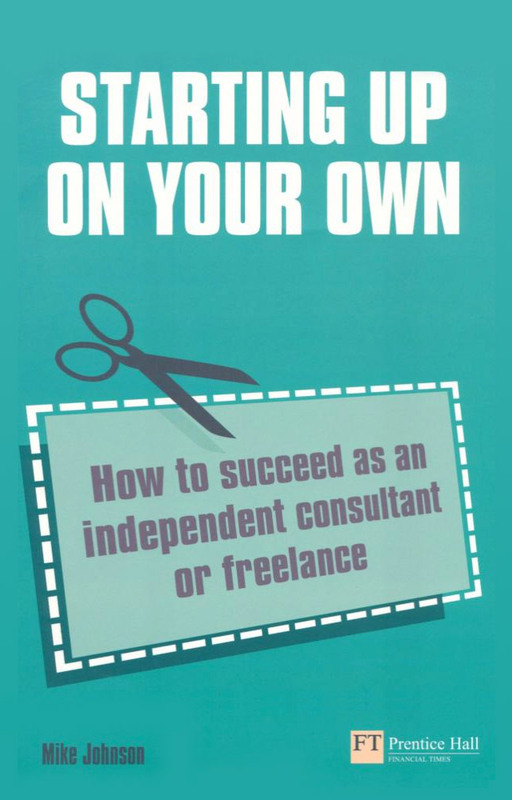 To help you with this critical decision, this book takes you through the reality of what’s involved and has a unique self-assessment quiz to help you check out your suitability for the independent working lifestyle. You’re probably an expert in your chosen field. That’s great: you’ll be selling your expertise. But when you’re working for yourself you have to be good at a whole lot of other things too. Starting Up On Your Own covers everything you need to do to make money and survive as an independent. How can I get repeat business from my clients? How do I win new clients? What should I charge and what do I need to do to make sure I get paid on time? Should I hire someone else to work for me? How shall I organise my time? The answers to all these questions and more are right here. What are you waiting for?